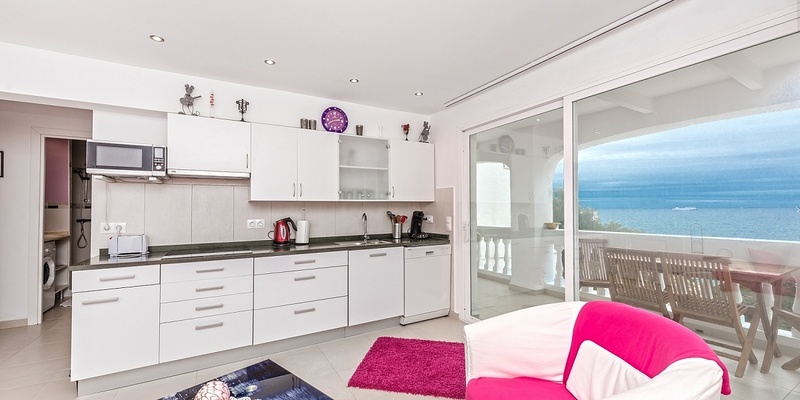 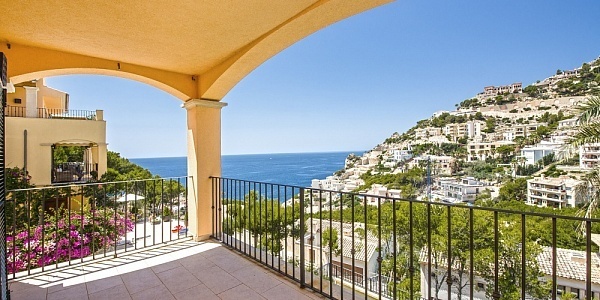 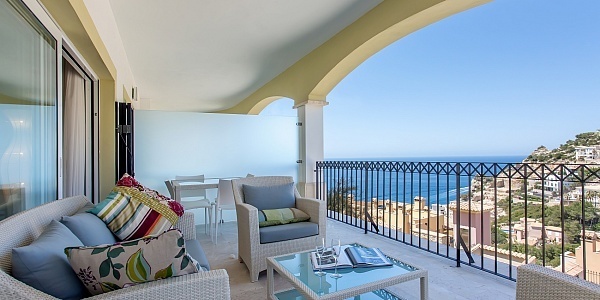 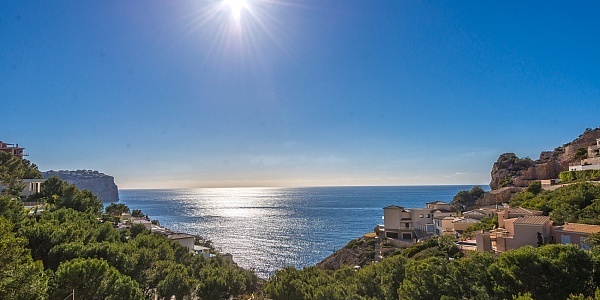 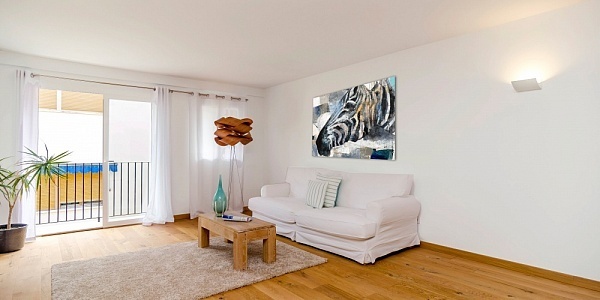 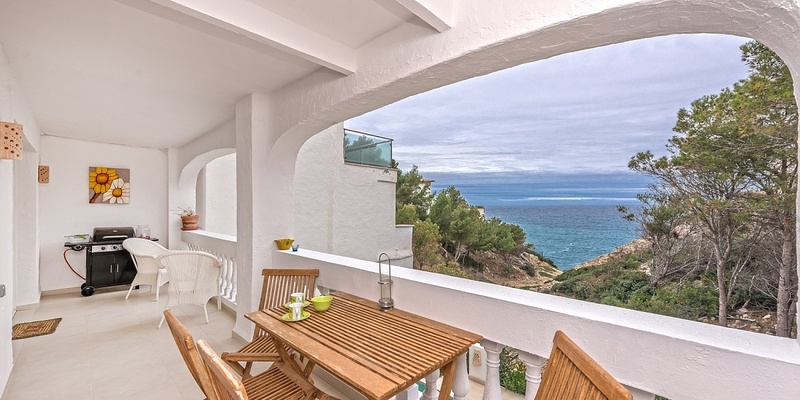 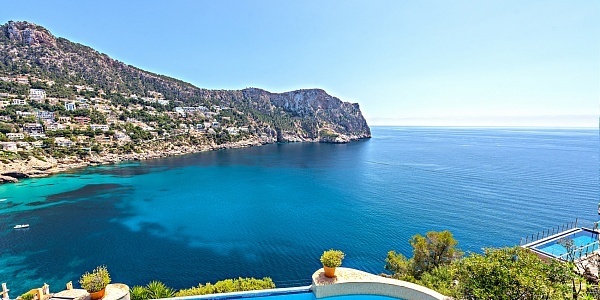 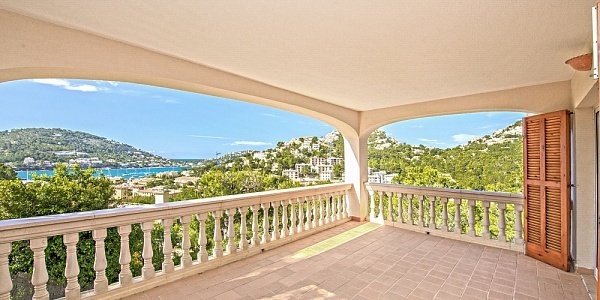 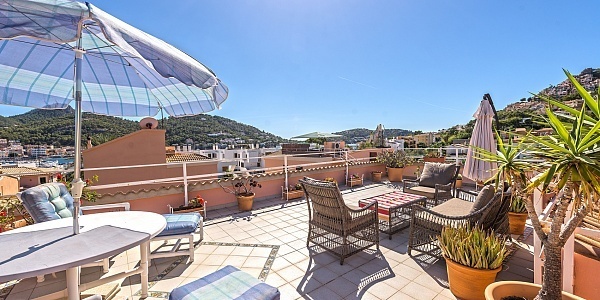 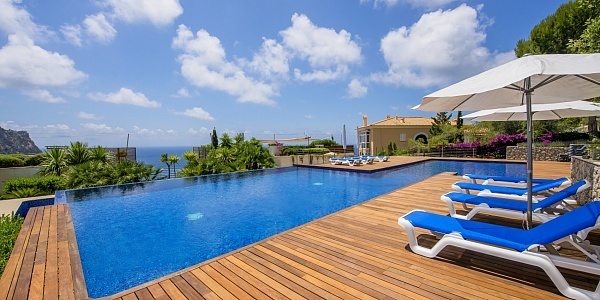 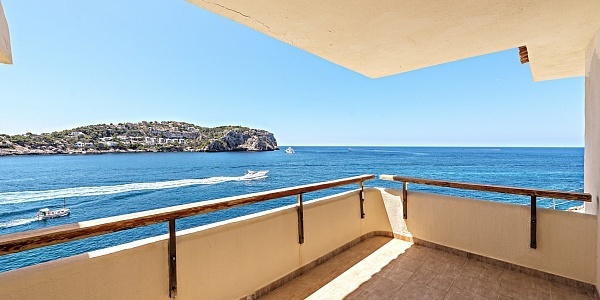 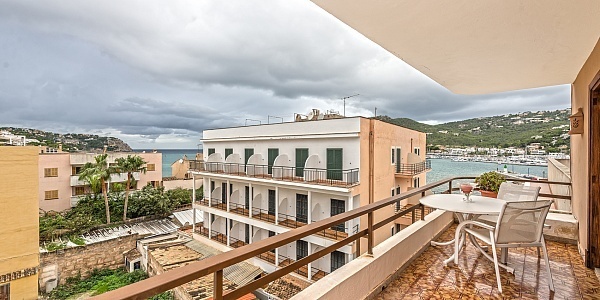 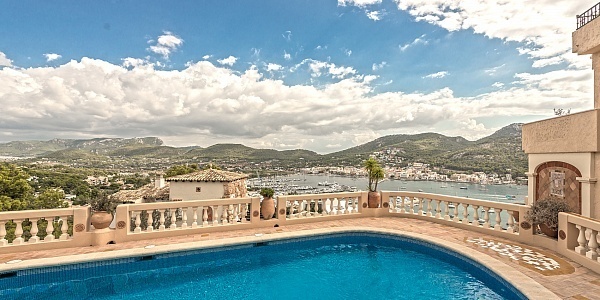 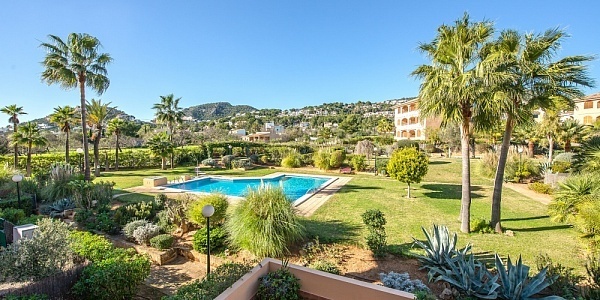 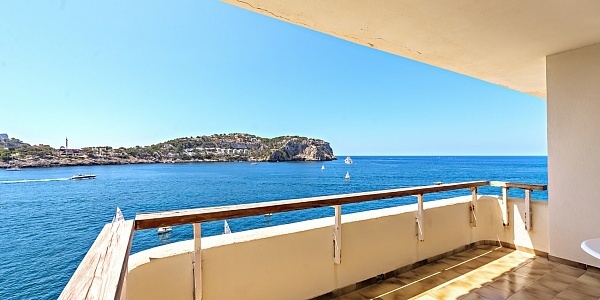 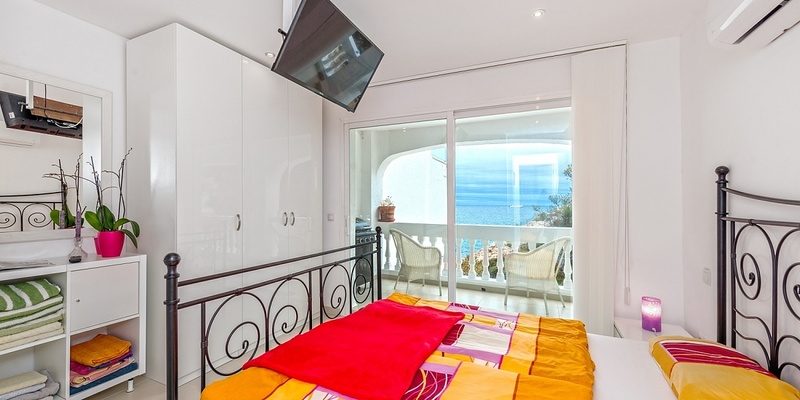 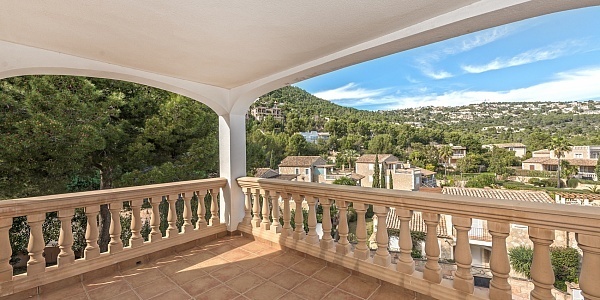 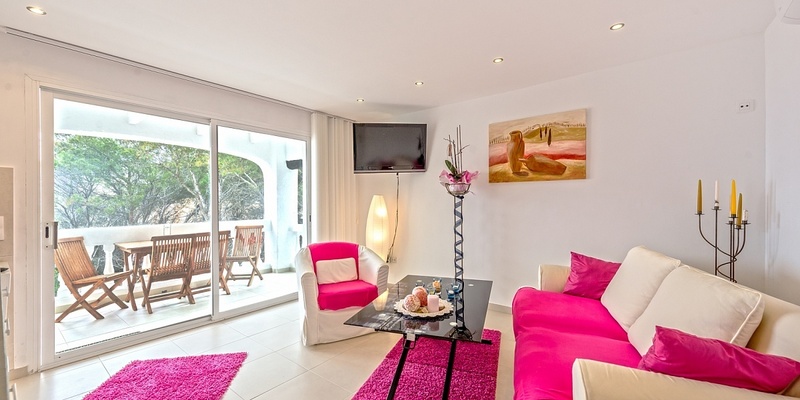 This frontline apartment is located in a tranquil neighborhood in Cala Moragues surrounded by Mediterranean gardens. 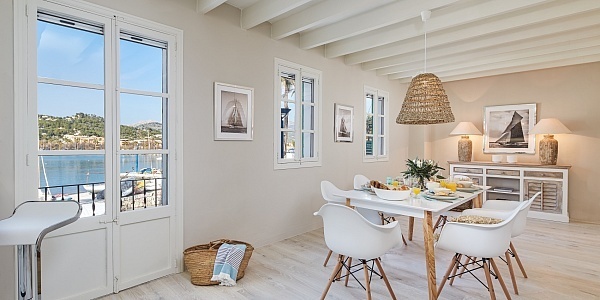 The living area of 63sqm is distributed into a cozy living area with open plan kitchen and access to a covered terrace. 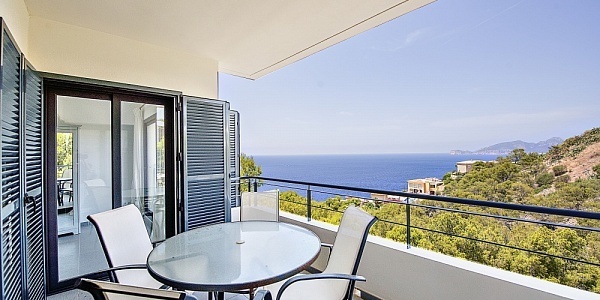 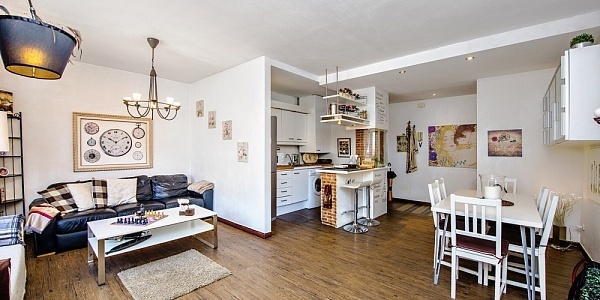 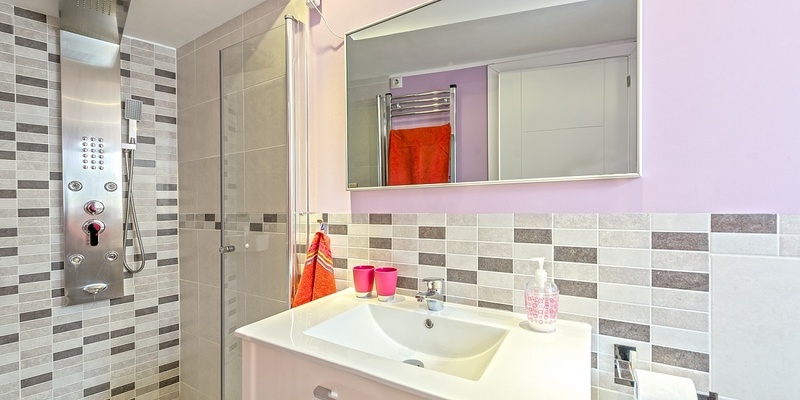 One of the 2 bedrooms enjoys access to an additional open terrace. 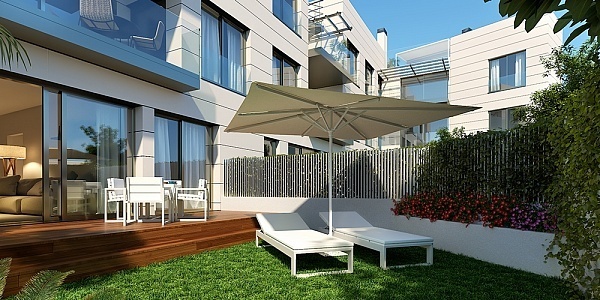 Both terraces measure 26sqm together. 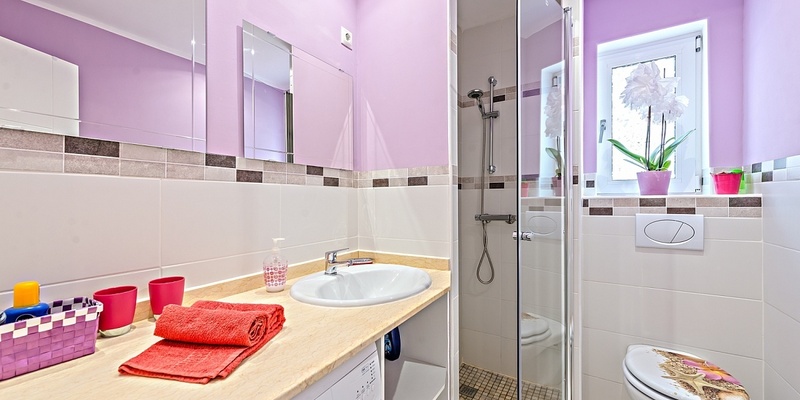 2 bathrooms complete the offer. 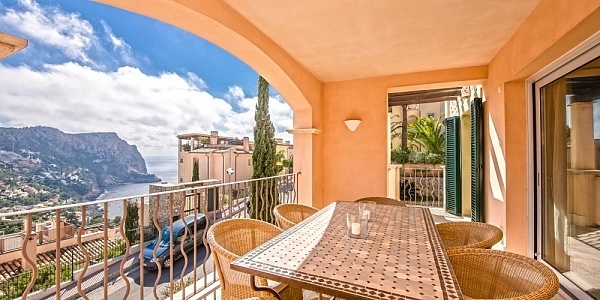 Highlight are the amazing sea views and Sunsets! 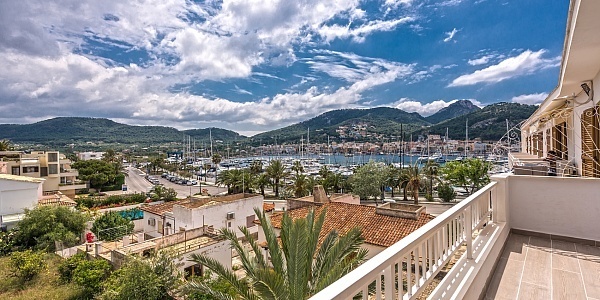 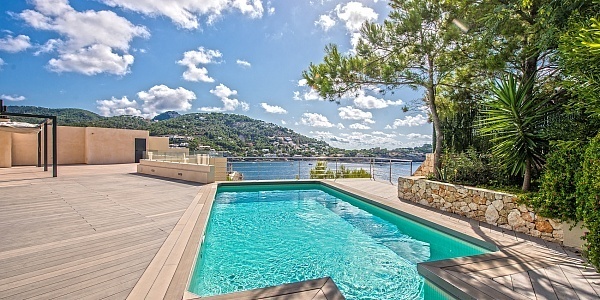 The natural harbor of Port d’Andratx with its picturesque bays is by far one of the most sought-after locations in the Mediterranean and known for its luxury properties of lasting value. 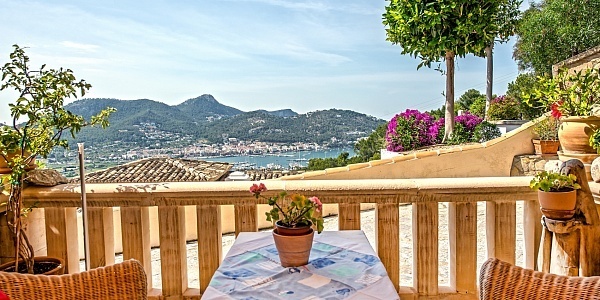 Restaurants, cafes, supermarkets, shops and international medical centers are open all year. 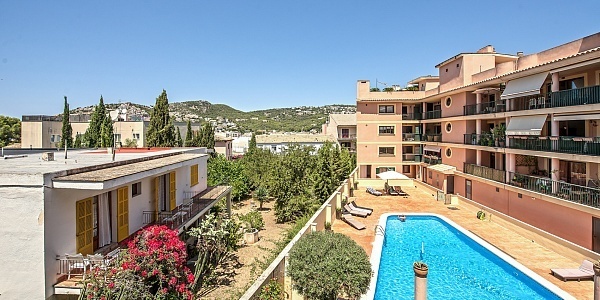 The popular golf course “Golf de Andratx” is just a short drive away. 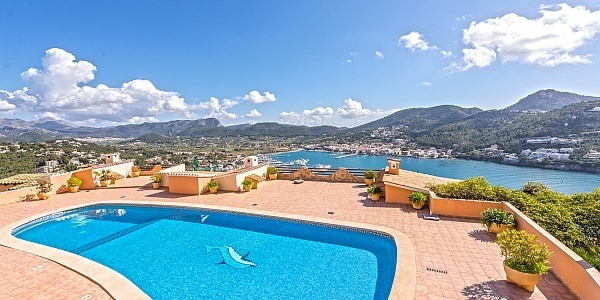 Palma is only about 25 minutes drive away. 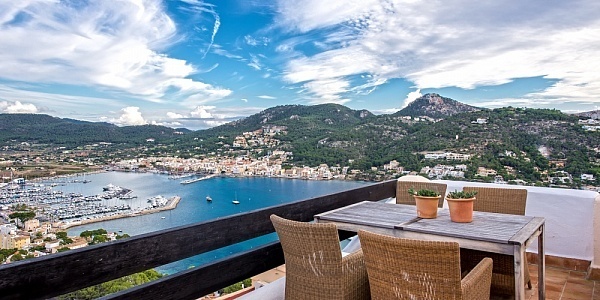 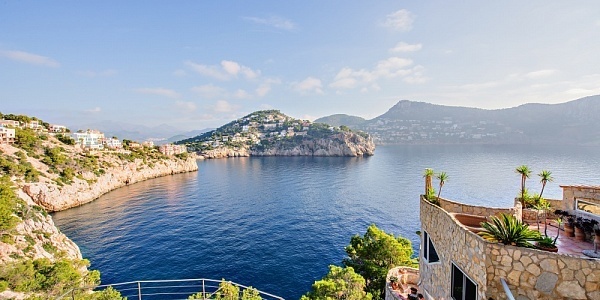 In contrast region around Andratx combines international flair with rustic country life, you find the traditional fishing harbor just opposite the exclusive yacht club, and the Mediterranean Sea meets the southern foothills of the Tramuntana Mountains: An unparalleled paradise.